This article will provide step by step instructions for enabling the PaySimple payments app to app. PaySimple and Profit Rhino have teamed up to provide a payments processing solution for Profit Rhino customers. The app to app integration allows you to seamlessly transition between your Profit Rhino and PaySimple apps during your workflow process. This article will walk you through enabling the integration. Download and log into the PaySimple AppConnect app. Be sure it is 'AppConnect' (not PaySimple). Download and log into Profit Rhino. Log into your Profit Rhino online portal. Select 'Settings' in the bottom left corner. Click the 'Enable' box on the PaySimple payments line. Go to the 'Settings' page. 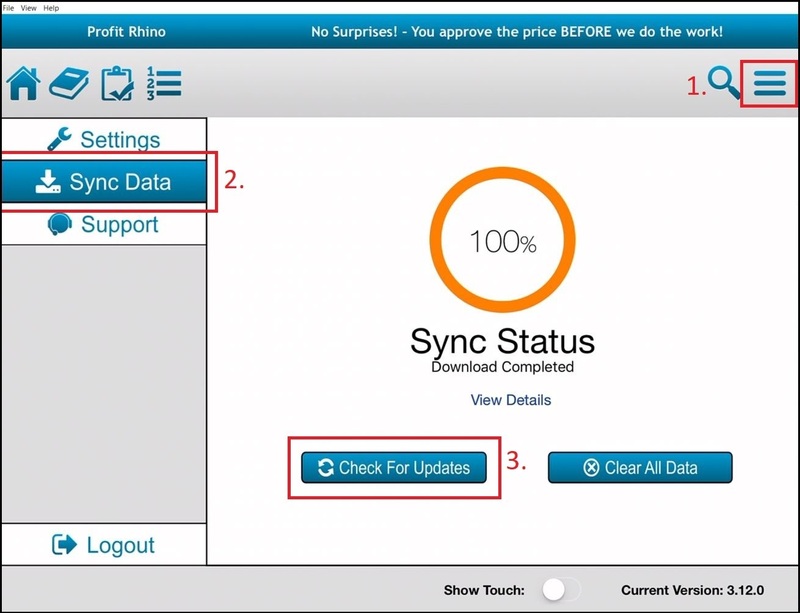 Select the 'Sync Data' page. 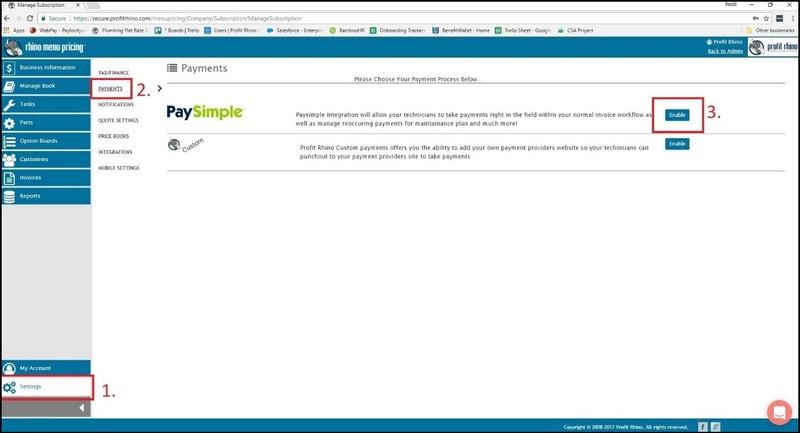 The Profit Rhino - PaySimple Integration is not activated! You're ready to begin taking payments!